Chicago, formally the City of Chicago, is located on the shores of freshwater Lake Michigan, and is the third most populous city in the United States. As of the 2017 census-estimate, Chicago has a population of 2,716,450, which makes it the most populous city in both the state of Illinois and the Midwestern United States. 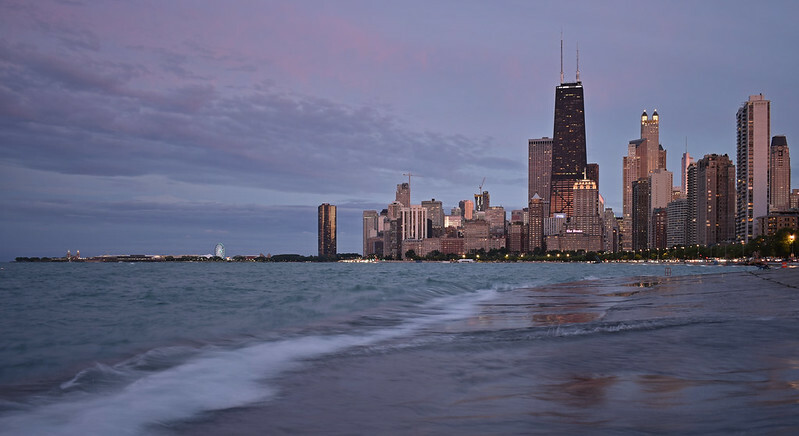 Positioned along Lake Michigan, the city is an international hub for finance, commerce, industry, technology, telecommunications, and transportation. The city saw the creation of the first standardized futures contracts at the Chicago Board of Trade; which today is the largest and most diverse derivatives market in the world, generating 20% of all volume in commodities and financial futures. O’Hare International Airport is the one of the busiest airports in the world. Image published by Harshil.Shah on 2018-11-07 07:30:01 and used under Creative Commons license.